The fuel levy could be gone within ten years, an expert in logistics foresees. 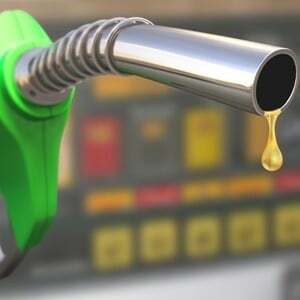 Professor Stephan Krygsman, an expert in Transport Economics at Stellenbosch University's Department of Logistics, says while it is an important revenue stream for government, the tax on each litre of petrol could soon be a thing of the past. Krygsman is researching the ways in which road users are taxed, and whether these are efficient. The fuel levy is currently the fourth-biggest source of income for government after income tax, company tax and VAT. It contributes 5% to national tax revenue. In Krygsman's view, however, despite the increase in the number of vehicles on the roads in SA, the fuel levy's days are numbered. He believes the levy has lasted because it's difficult for taxpayers to evade, and the charges are simple and easy to levy, with low admin costs. However, he adds, the levy is "probably exhausted" as a long-term and sustainable charge for road users. According to a statement from Stellenbosch University, the levy is becoming "increasingly unproductive as vehicles' fuel efficiency increases, and electric and hybrid vehicles emerge". Krygsman believes electric vehicles could have an impact on the fuel levy's lifespan, since they use little or no fuel. But even other, more fuel-efficient vehicles could have a similar effect. "In 2000 the fuel levy was at 100% productivity, but since then there’s been roughly a 1.1% decrease in annual productivity. By 2040, greater fuel efficiency will reduce the fuel tax by almost 48% per vehicle," says Krygsman. "It’s being estimated that by 2040, electric cars can make up 30% – 40% of the world’s 2 billion cars. Taken together with the increased fuel efficiency of internal combustion vehicles, this would translate into savings of millions of barrelsof oil a year. And of courses savings in fuel levies and taxes," he says. Krygsman notes that Norway, the Netherlands, Germany, France and the US are already working on banning diesel-powered vehicles by 2040. South Africa, however, is heavily reliant on its fuel levy. Earlier in 2018, the AA released information detailing how the fuel price is calculated. A whopping 38% of the fuel price went to levies, the AA said. According to the Association, it was also a misconception that the General Fuel Levy was a fund for building and fixing roads. It is treated as a general tax. It is charged at R3.37 per litre and had increased by 22 cents in the first four months of 2018 alone. According to Krygsman, one potential future alternative might be to charge users for their road use based on the kilometres they travel, which could be measured by an on-board GPS and calculated by vehicle type, size and other factors – even whether the travelling was rural or urban, or the time of day. They might pay per kilometre and get an invoice at month end, he said. "If this sounds too far-fetched to some people, just think about cellphone companies billing you for the data you use or the monthly water and electricity bills you receive from your local municipality. Why can’t we apply the same principle to roads?" he says. This might, however, be reliant on first solving issues such as privacy and ethical considerations, user needs, technical system requirements and the role of the government, he added. However, he said, it was important to find "another way to pay".